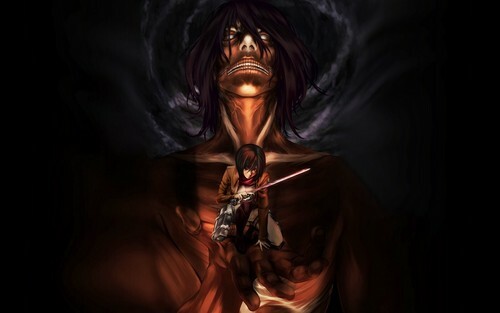 Titan Eren and Mikasa. . HD Wallpaper and background images in the L’attacco dei Giganti club tagged: photo eren jaeger mikasa ackerman titan snk aot anime manga.